Under Armour Micro G Pulse II - Buy or Not in Apr 2019? 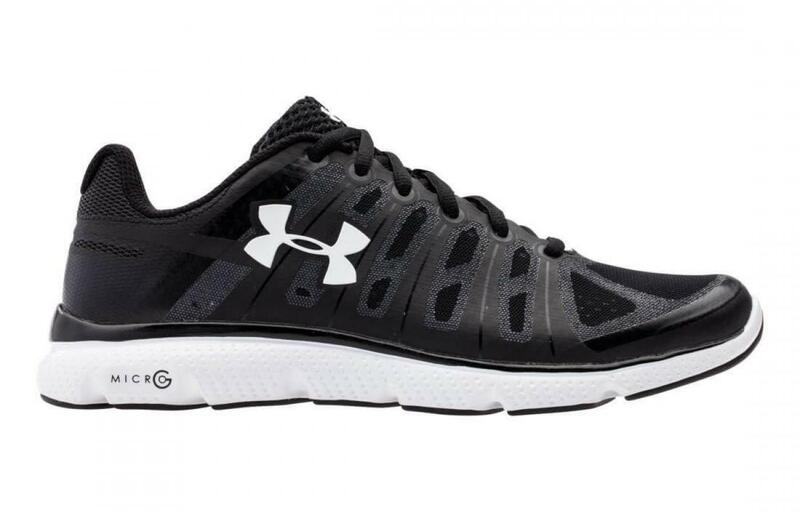 The Under Armour Micro G Pulse II is a soft, lightweight, durable and responsive running shoe. This neutral competition running shoe features a blown rubber outsole for maximum durability. The midsole is designed with multi-layers of responsive cushioning, making it extremely comfortable for daily miles and long runs. The Micro G foam and 4D Foam are both flexible materials. The Micro G foam cushions the runner’s foot while making each step explosive. The 4D Foam creates a customized fit for the wearer’s foot. This enhances the overall comfort offered by the Under Armour Micro G Pulse II. Under Armour updated the previous version of the Micro G Pulse by creating a smoother and more minimalist upper design. The first version of the Micro G Pulse used stitched-on overlays whereas the second version was built with a seamless upper design. Runners experience great breathability and a ride that is comfortable against the skin. The Under Armour Micro G Pulse II is built with a blown rubber outsole, which gives the shoe maximum durability without increasing the weight of it. The blown rubber is very responsive and gives runners more cushioning underfoot. This makes landings softer. In addition to being durable, the blown rubber provides the runner with good traction. The flexibility of the outsole unit is still there. The blown rubber layer does not make the outsole feel rigid. It lets the runner's foot move naturally through each gait cycle. The midsole unit of the Under Armour Micro G Pulse II uses the Micro G foam. This cushioning system is used in Under Armour shoes and gives runners a lightweight and responsive feel. The Micro G foam is not thick but supports the runner through each stride. Under Armour placed a full-length 4D Foam just above the Micro G foam cushioning system. This 4D Foam is pliable, molding itself to the shape of the runner's foot. The runner's foot is locked in place while it is supported from heel to toe. The 4D Foam supports the arch and curvatures of the runner's foot. The Under Armour Micro G Pulse II uses a two-tone mesh in the upper unit. This mesh material is thin but strong. At first glance, you may think this mesh upper will tear easily, but it stays strong through the miles. This two-tone mesh material gives the runner a snug fit without the foot feeling restrained or irritated. Air flows through the shoe, keeping the runner's foot cooler and drier for an overall comfortable ride. Under Armour constructed the upper unit with synthetic overlays that wrap around the runner's foot, working with the lacing system to keep the foot locked in place. These synthetic overlays do not add to the weight of the shoe and move naturally with the foot. This upper design is smooth and of a minimalist style than the original version of the Micro G Pulse. The Under Armour Micro G Pulse II features a padded tongue and heel collar for additional foot security. The fabric used on the interior of the shoe is soft and smooth, which means it does not irritate the runner's foot. Some reviewers said these shoes are comfortable enough to wear without socks. The Under Armour Micro G Pulse II features a stitched-on layer at the heel. This works with the padded heel collar to secure the foot, preventing it from coming out of the shoe. The Under Armour Micro G Pulse II features a reinforced toe. The Under Armour Micro G Pulse II is a lightweight running shoe. The men's version weighs 8.4 oz and the women's version weighs 7.4 oz. When compared to the original version of the Under Armour Micro G Pulse, the second version updated the upper design by removing stitched-on layers and added layers. This keeps the weight of the shoe low. The Micro G foam cushioning used in the midsole unit is lightweight. It is not as bulky as other foam materials used in the construction of running shoes. Under Armour constructed the upper unit of the Micro G Pulse II with a two-tone mesh. This mesh material is breathable and offers runners a well-ventilated ride. The lining of the Under Armour Micro G Pulse II is also breathable due to the mesh material of it. The 4D molded foam insert is removable, which allows runners to adequately dry out their shoes after a run. Wearers really liked the comfort the Under Armour Micro G Pulse II offered during runs. The foam cushioning systems used in the midsole unit are supportive and mold to the runner's foot, making every step comfortable. The 4D molded foam insert shapes to the runner's foot after a short break-in period. The midsole unit of the Micro G Pulse II utilizes full-length cushioning for excellent underfoot comfort. The padded tongue helps reduce pressure from the laces and the padded heel collar keeps the rear of the foot free of irritation. The outsole rubber used in the Under Armour Micro G Pulse II is soft and pliable, giving runner's a cushioned platform. The Under Armour Micro G Pulse II is available in medium and wide widths. It features a semi-curved shape, following the natural curvature of the runner's foot. The men's version of the Micro G Pulse II is available in two colour patterns. Runners can choose from an all-black upper with white midsole and a white Under Armour symbol or black and silver upper with a black midsole. 82% of Amazon customers who purchased the men's version of the Under Armour Micro G Pulse II said this shoe fit as expected. The women's version of this running shoe comes in one colour pattern. It is available in black and neo pulse upper with white accents. 86% of Amazon customers who purchased the women's version of the Under Armour Micro G Pulse II said this shoe fit as expected. The durability of the Under Armour Micro G Pulse II begins with the blown rubber outsole. Blown rubber is commonly used in running shoes because of its great feel. This material is lighter, softer and more flexible than traditional carbon rubber making it an ideal material for a running shoe. The two-tone mesh used through the upper unit is a durable material. The midsole unit features a full-length layer of sturdy 4D Foam. The 4D Foam material used in the midsole keeps the runner's foot locked in place thanks to its ability to shape itself to the runner's foot. The synthetic overlays, padded tongue and padded heel collar wrap around the foot, keeping it secured in the shoe. The Under Armour Micro G Pulse II protects the runner's foot from accidental slippage. The fabric used throughout the upper does not irritate the skin. The breathability of the two-tone mesh protects the foot from a build-up of moisture, as air can easily flow around the foot. The blown rubber outsole is built to keep the runner nice and steady when pounding the pavement. The overall design of the Under Armour Micro G Pulse II allows the runner's foot to move naturally. The semi-curved shape of the shoe responds to the natural curvatures of the runner's foot. Under Armour utilized a responsive cushioning system throughout the midsole. The Micro G foam makes each step explosive, giving the runner good bounce-back. The 4D foam layer responds to the foot by shaping itself to the arch and curves along the wearer's footpad. This gives runners a custom fitting running shoe. The multi-layered midsole unit of the Under Armour Micro G Pulse II provides the runner with a good amount of underfoot support. The synthetic overlays support the foot with a snug fit through the midfoot. These overlays work with the lacing system to provide runners with the support they need during a run. 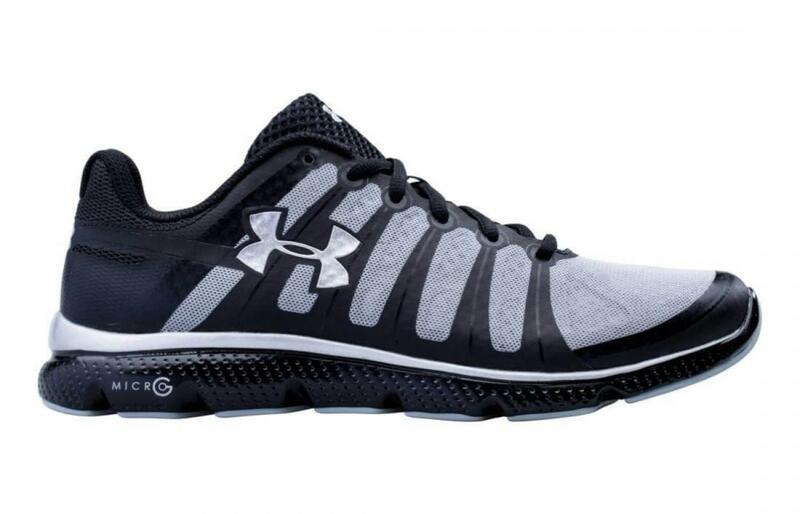 The Under Armour Micro G Pulse II performs well on the road or treadmill. The great traction provided by the outsole makes the Micro G Pulse II able to perform on well-maintained easy trails and gravel paths. The Under Armour Micro G Pulse II is an affordable running shoe, making it a great option for daily training. The blown rubber used on the outsole lengthens the use of the shoe because it is protected from the abrasiveness of the asphalt. Therefore, the runner can log more miles with the Micro G Pulse II. The blown rubber outsole gives the Under Armour Micro G Pulse II great traction. Runners experience a great grip on the pavement, track, and light trail. The Under Armour Micro G Pulse II is a very flexible running shoe. The materials used in the outsole and midsole units are extremely pliable. In fact, the Micro G Pulse II is so flexible that it can be folded in half. The upper unit is also very flexible and allows for natural foot movement while keeping the runner's foot secure. The Under Armour Micro G Pulse II is a neutral running shoe. The Micro G foam and 4D Foam provide the runner's foot with great stability. The runner also experiences great stability through the upper unit. The foot is locked in place with the seamless overlays, padded tongue and padded heel collar. The Under Armour Micro G Pulse II has a 10 mm heel-to-toe drop. The heel height of both the men's and women's versions of this shoe is 24 mm and the forefoot height is 14 mm. Under Armour designed a shoe that delivers great performance during daily runs. The Under Armour Micro G Pulse II features different technologies that work together to provide the runner with a comfortable, responsive and secure ride. Reviewers loved the comfort these shoes offered them. The 4D Foam and Micro G foam adapt to the shape of your feet, supporting them throughout the gait cycle, without adding to the overall weight of the shoe. These midsole technologies provide you with very soft landings and explosive take offs. The breathable two-tone mesh upper keeps air flowing through the shoe. The seamless overlays and lacing system guarantee a customized fit during any run. The blown rubber outsole gives you great traction over flat surfaces. With a lower price tag and great performance, the Under Armour Micro G Pulse II is a good investment.